Adrian McFarland has had to live in the shadow of Adrian Archibald and Richard Britton over the last few years. This year he has the chance to show he can win on a regular basis after joining the successful and highly professional Chris Dowd Racing Team. Adrian, first of all, were you happy with your performances last season? Well, I would say it wasn't as good as I'd wanted it to be. We had a lot of problems with the big bike halfway through the season which kind of ballsed things up a wee bit for us. The 600 was good, and I had some good results on her. Which, in your opinion, were your best results? 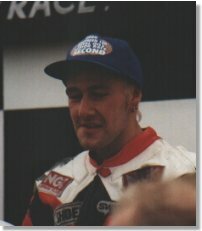 I won at Cookstown at the start of the year, and at the Southern 100, I had a couple of wins there too. They were my two best results really. You had a fairly quite TT. Tell me how the fortnight went? We had a lot of machine problems with both bikes. That's about it (laughs). In the Formula One, the clutch went and then for the Senior, we didn't get her built until the night before, so I was a wee bit wary of her, and I went too slow on the first lap. It took me ages to get settled in and it just didn't feel right. I finished well down the order. I saw you retire at Glen Helen in the 600 race. I was there watching with my girlfriend. (Laughs) Oh I was raging. The thing was flying, so it was. She built up pressure in the air box and then starved herself of fuel and that was that. What about the rest of the year back home on the roads? Briefly tell me how it went there? 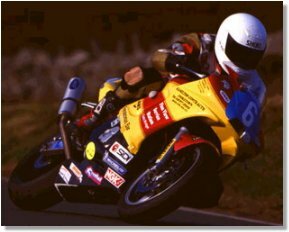 At the North West, I was the first privateer in the 600 race, which I was pleased with and I was holding onto fifth in the second Superbike Race when the gear linkage broke. I suppose that was one of my better North West's (laughs). I can't really remember what happened at the Ulster (laughs). For this season you are moving across to the Chris Dowd set up. You must be pleased that this opportunity has come around? Brilliant, brilliant. I hadn't seen the bikes until last Saturday, and we went out on the 600 and the new 1000 production bike. I have never thrown my leg over anything like that in my life! Awesome. That new 1000 is the fastest bike I have ever sat on and that was with nothing done to it. We were down at Bishopscourt, and I can tell you now, if anything finishes ahead of the new Suzuki's, it's going to have to be some bike. What's Chris like to ride for? Brilliant. He's great craic, good fun. What machinery will you have at your disposal this season? I have a Regal 600 Suzuki which is standard of course, a tuned one for the International events, I have a full blown Superbike as well in the form of the new 1000 which is having everything done to it now by Tony Scott. When he stripped it down, he said that he had never seen an engine that was as well built as that as standard. He couldn't fault it. Michael Laverty, my teammate, will be riding the Production bike in all the open classes, and then I'll have it for the TT, North West and Ulster for an extra run out in the Production Races. As you mentioned, your teammate for this season is Michael Laverty. He looks like a real star? He's some circuit rider, definitely. I'm only getting to know him now, and he's a top guy. 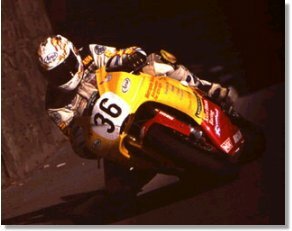 I know you are a real Road Racing fan, but after the trouble the sport has endured the last few seasons, what do you think the future holds for Road Racing? Well, I don't think it looks that good. Last year was a complete disaster, and if we have another one like that, I reckon that could be the end of it. Honestly, if it goes like that again, I just wouldn't know what will happen. A lot of people are trying to come up with improvements for the sport, but what would you like to see? With the roads it's hard. There isn't much you can do. They are starting to look at removing hedges and lampposts and this kind of thing, which is all you really can do. The stick a load of chicanes in, but I reckon that they can make it even more dangerous. I clipped the one they had at Tandragee and came off. It didn't really need to be there, and I know most people wanted it shifted. And what about the TT? Are there any improvements you would like to see made there? Errr, I really love the TT. It's the best place to ride. I love it because it's so long, and you can really settle in. I don't really know. I know some of the English riders have a few complaints, but they are maybe used to different things. In Ireland some of the meetings can be not that well organised, so when you go to the Isle of Man, it seems really good for us. Which meetings are you planning to take in this year? Well, I'll be doing all the roads in Ireland having a real good crack at the Lambert and Butler and Regal Championships. I'll be doing all the circuits, even though I don't like them all that much, mainly for Championship points, and just to get some mileage under my belt. I'll be at all the Internationals, the Southern and I'll probably do Jurby Road again after the Southern. I really like that course and it suits my style. With this improved machinery, what sort of results are you aiming for this season? Well, I'll be giving it my best shot, and would like to think that I can start to win some more Road Races back home, and push for the top three in the two Championships. Again, I want a good run out at the Internationals, where I'll be happy with top sixes and anything else will be a bit of a bonus. I just want to start winning on a regular basis. And into the future, what are your long-term ambitions in the sport? Well, I'll carry on for a good while yet (laughs). As long as Road Racing continues, I hope I'll be there somewhere, but like I said, you just don't know what's going to happen with it. We need a really good year, and then take it from there. I suppose my ultimate ambition would be to win a TT, but I'll be happy to keep racing for as long as possible with as much success as possible. 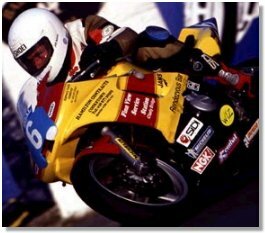 Well it's been lovely talking to you Adrian, and I'm sure you'll be up there this year on the new bikes. Aye (laughs) I hope so.